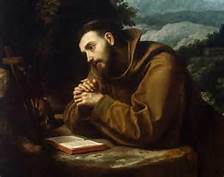 If there is one saint I would love to meet in Heaven who was not one of the original Twelve Apostles, it would definitely be St. Francis of Assisi. (1181?-1226)He’s one of the most venerated figures in Catholicism. He’s the co-patron of Italy and animals. Francis was one of seven children born to a silk merchant named Pietro di Bernardone. Despite his wealth, Francis felt unsatisfied. He felt called to a vow of poverty and left it all behind. His father, however, did not accept this choice and threatened him with beatings. He responded by renouncing his position in society. He even gave up his clothes. He gave it all up to found a new monastic order called the Franciscans, who still operate to this day. These days, it seems that everyone is professing a specific sexual identity. 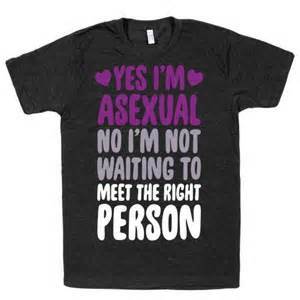 I however, am I unique case–I am asexual. I’ve always been attracted to women, but not on a sexual level. I have had girl friends, but nothing beyond platonic. I even had a date for the senior prom, but all we ever did was kiss. Since then, I’ve never pursued a relationship. I have no desire to go out on dates. People have often asked me if I’m still content, even without a wife. I’ve even had some assume that I must be gay, even though I am not. In addition to not desiring a romantic relationship, there is something else that prevents me: the financial responsibilities I would have added to my life. I am not financially able to support a wife, much less children. I do like being around children, but I don’t feel I’d be able to deal with this responsibility. It’s been said that when it comes to the original six Star Trek movies, the even-numbered movies are better than the odd-numbered ones. Star Trek III is the first of two directed by Leonard Nimoy. Originally, he had agreed to be in Wrath of Khan because of the death scene. However, he enjoyed the movie so much, he agreed to be in Search For Spock, but on one condition: he got to direct it. 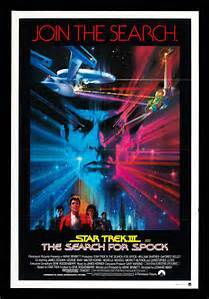 Search For Spock brings back the Klingons for the rest of the movies (In fact, Wrath of Khan is the only Star Trek movie that didn’t have Klingons in it.) This time the villain is Kruge (played by Christopher Lloyd), a Klingon obsessed with Genesis, the project from the second movie.